How to create Snapchat stories? Snapchat app story option enables you to create a story out from a set of your favorite pictures. 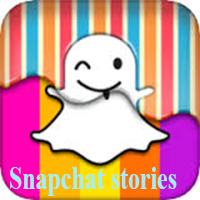 The story will be in the form of a slideshow of snaps (pictures and videos), the pattern of the slideshow will be set automatically from the first snap to the latest snap you add to the story. As we know shared messages from snapchat can be viewed only once and are deleted automatically, whereas once you create a snapchat “my story “it can be viewed repeatedly as many times you want for the span of 24 hours and after that as a rule of snapchat the story will be deleted automatically. If you already have the snapchat app, then open it. You will see the main screen of snapchat in the back camera of your mobile device, you have the option to select between front and back camera. Take a picture or a video with or without filter as your desire. Once you are done you will be viewing the picture or video you have created, on the screen you are given a button with a plus sign on it. It will allow you to add your snap to your story.